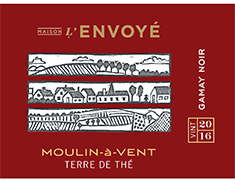 Raspberry and blackberry fruits abound, speckled with hints of violet and mushroom on the nose of the first vintage of Moulin-à-Vent. Ripe fruit opens the show on the generous, round palate, with clove spice bringing up the rear. This is a far cry from Beaujolais Nouveau. Rather, it's a complex, versatile wine that keeps us coming back for more.